For the crew of KB775, VR-Y, this would be their tenth operation together. They had started this operation on Russelsheim with the well know KB700, "Ruhr Express" during the readying for takeoff or while marshalling the aircraft to the runway KB700 developed mechanical problems. The crew did a quick switch of aircraft to KB775 a relatively new aircraft only having arrived earlier in the month. There has been mention that some squadron ID codes seemed to have a bad reputation, 419 had a total of four VR-Ys during the Lancaster years, many other code letters were used repeatedly three times or more as well, so in that way VR-Y was no different. Although the aircraft was new it had had already been in action against a Ju 88 and had escaped unscathed. The crew themselves were no strangers to attacks and and emergency landings. During their second operation, on July 6th they had been in the vicinity of unknown aircraft both to, from and while on their way to St. Pol. Nothing had come of the crowed skies of that night. On the other hand on the night of July 18/19th they experienced a frontal attack by an unknown type of twin engine fighter with tracers streaming all pointed in their direction. Luckily all passed below the port wing without any hits. Their pilot F/O Witwer had also brought them to home base over the Channel on three engines when reduced power in the inner starboard engine occurred south of Copenhagen and caused them to turn back from the operation to Stettin. Since the aircraft was over enemy territory (OET) it counted towards the crews Tour total. The very next operation on the night of August 18/19, flak punched holes in the port aileron and the tail section while over Bremen. Almost half of this crews operations had involved danger at close quarters. 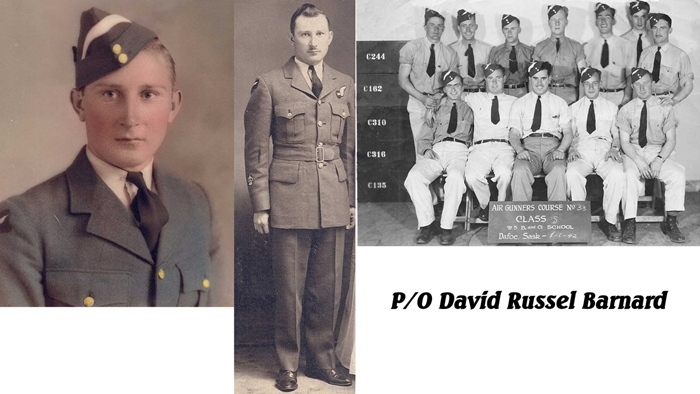 And now on the night of August 25/26 1944 while on a mission to Russelsheim a collision occurred between a Lancaster of 115 squadron (PD274) and KB775, even though pilot F/O Witwer had a brief glimpse of the other aircraft coming into his air space the speeds of the two aircraft coming together made the ability to change course impossible. In the chaos of the tumbling aircraft and the loss of the intercom verbal orders to bail out were given. 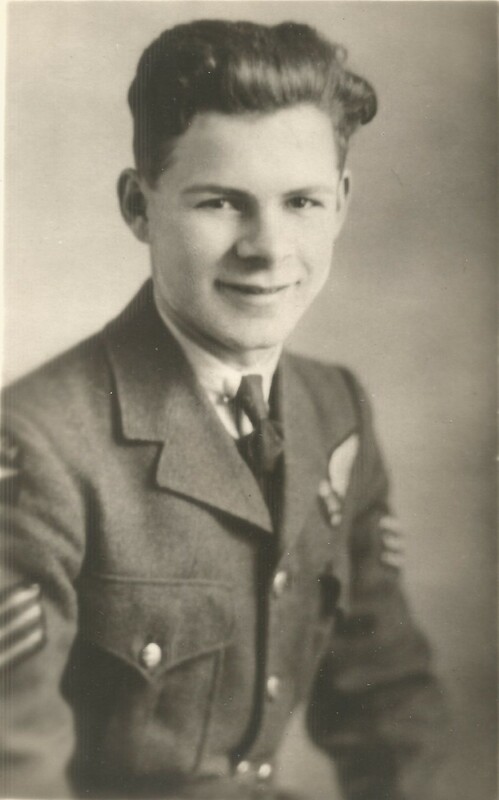 In the initial report the Bomb Aimer and Flight Engineer had managed to make it out of the forward hatch with F/O Witwer being thrown out of the aircraft and unconscious until almost reaching the ground. 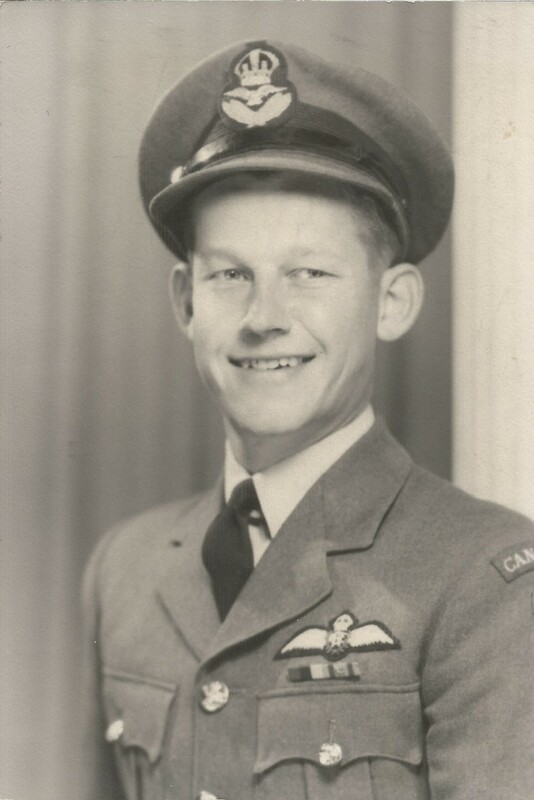 When almost about to begin the bombing run (the PFF flares were noticed going down not far ahead), he glanced out the window and saw a Lancaster very close and heading directly for his aircraft. There was no time to avoid a collision. I felt a bump but did not know where we were hit. The nose went down and I could not pull it out. Told crew we had been hit. Then we went into a violent spin. Controls seemed stiff, intercom went U/S. I shouted for the crew to bail out. The Bomb-aimer and Flight Engineer went out through the front hatch. The Navigator was having trouble. I released my seat harness to give aid. Was thrown against the roof and knocked unconscious. Woke up in the air, pulled my 'chute, and within 20 seconds landed in a tree about 30 miles east of Mannheim. 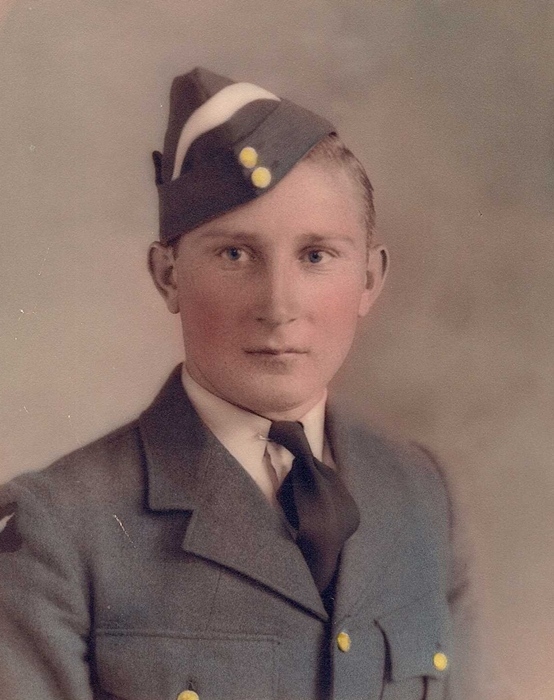 Victor Stear was just two months short of his 19th birthday, he would be the youngest 419 airmen lost that I have come across so far. The assumption that the other aircraft was the Lancaster from 115 Squadron is based solely on my own analysis of the events of the night. The first point in inspecting the information gathered on this collision is that there is more than one source which state clearly that both KB775 and PD274 were involved in collisions. The second point, MI9 Liberation reports from the pilots mention that they were travelling in opposite directions, one states entering the target zone while the other mentions leaving the target zone. The third point is that the crash sites of these two aircraft are located roughly in a line with each other. One was West and North of the T/A and the other to the East and South of T/A. (exact locations not given although South of Koblenz and East of Mannhiem are within that range though distant). Both aircraft continued on for a period of time after the collision. Two of Witwer's crew had time to attach parachutes and leave by front hatch before the aircraft lost control and the other Lancaster crew had time to completely evacuate their aircraft. My opinion on this is that there was only one collision involving two aircraft. A second scenario could have been that there were two mid-air collisions. This would mean four aircraft were involved. 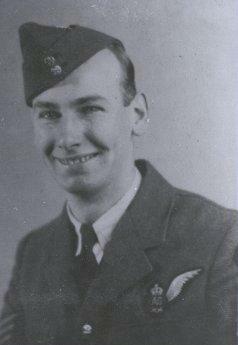 The book "Bomber Command War Diaries" states that only 15 Lancasters were lost on the operation. While the book "Bomber Command Losses" lists 17 Lancasters brought down. Other sources also list 17 aircraft lost on that operation. That would mean 4 out of 17 aircraft were lost in this way. A high percentage, almost 25%. Then when you subtract the known crash sites from the operation which are located far from the T/A, two aircraft were lost on landings back at bases, three were lost on route, the numbers change to 4 out of 12. If you take into account of those 12 crews, six crews had survivors and no reports of collisions are mentioned. So it is more likely that there was only one collision involving these two aircraft. The cause or the aircraft involved is not important. The loss of the men of KB775 is the tragic point. Their loss shows the dangers of carrying out these operations came not only from enemy action they also include collision, being hit by dropping bombs or incendiaries and weather conditions. No matter what charts and calculations the Operational Research unit could come up with, the true dangers were known to every airmen.